These gluten free lemon filled cupcakes are a delicious treat that my son loved. 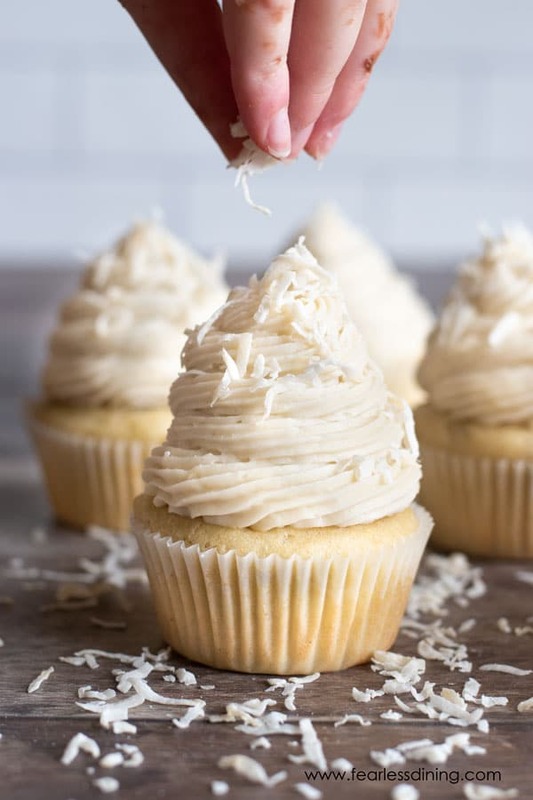 Deliciously moist vanilla cupcakes filled with lemon curd and topped off with a vanilla coconut buttercream frosting. 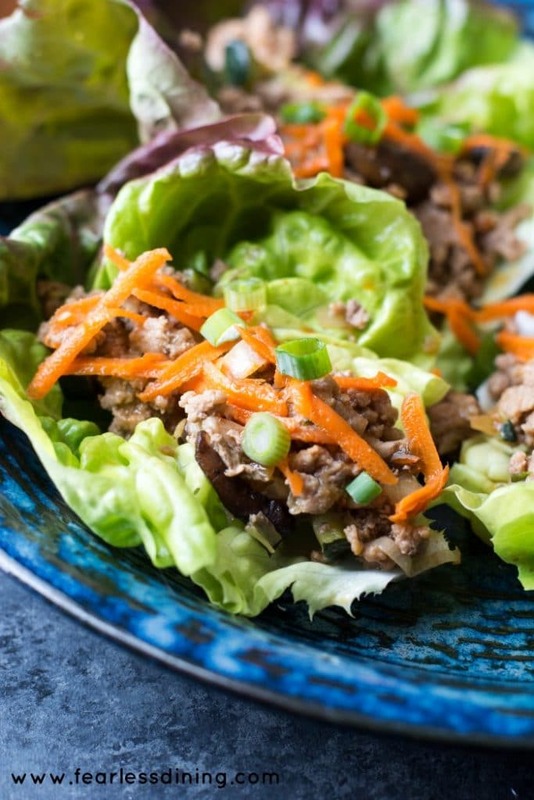 I promise you will want to make this recipe over and over again! For the best cupcake recipes, check out my Gluten Free Cupcakes resource guide!! (And if lemons are your thing then don’t miss these amazing Gluten Free Lemon Desserts recipes!! I created these gluten free coconut cupcakes for my lunch group, Ladies Who Lunch. I try to attend at least once a month, and I was so excited to try out a new dessert recipe on the ladies. I even tried to be nice and I purposefully left 3 extra cupcakes, one for Mr. Fearless Dining and each child on the kitchen counter. It was a Wednesday, and that is early dismissal day at school. My son came home and promptly ate two of the cupcakes….and part of the third. I couldn’t believe he did that :-). These were one of the best gluten free cupcakes I have made to date and nobody in the family got to try them. This is one of the reasons I remade this recipe recently. To hear this story, you have to understand, I am not the type to limit what he eats. He eats really well (and often!) and is as skinny as a rail. But he stepped over an invisible line when he ate his sister’s cupcake. I didn’t expect him to devour all of the gluten free cupcakes. When his sister came home from school, she was so mad. She did get her revenge by buying a box of gluten free girl scout cookies (with her own money) and then ate them in front of her brother. I did try to tell her to be the bigger person and share, but it didn’t go very well. TEENAGERS!! If you like fancy, you can also make this cupcake recipe into a cupcake bouquet like in this recipe. 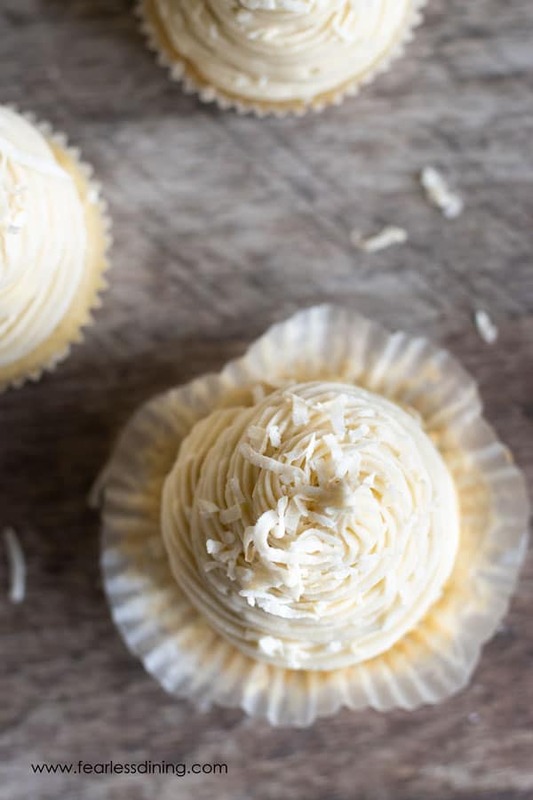 Well, I am hoping you like these gluten free lemon curd stuffed coconut cupcakes as much as my son did! 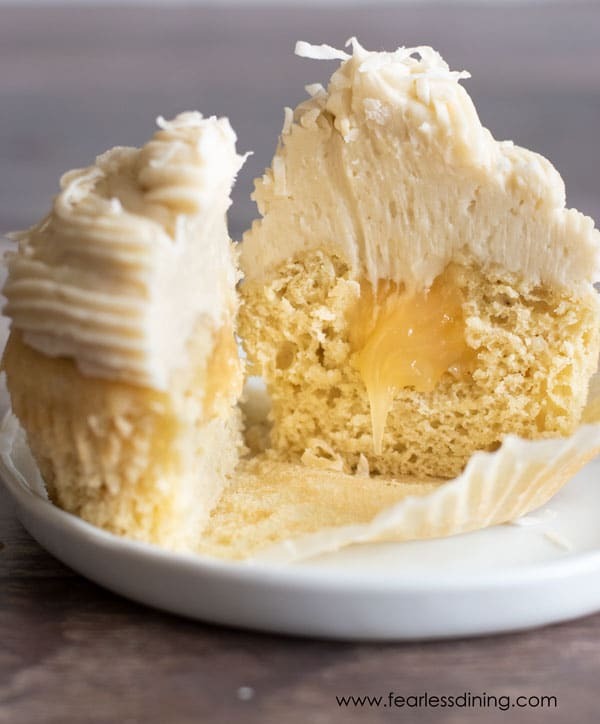 These gluten free lemon filled cupcakes are so easy to make!! 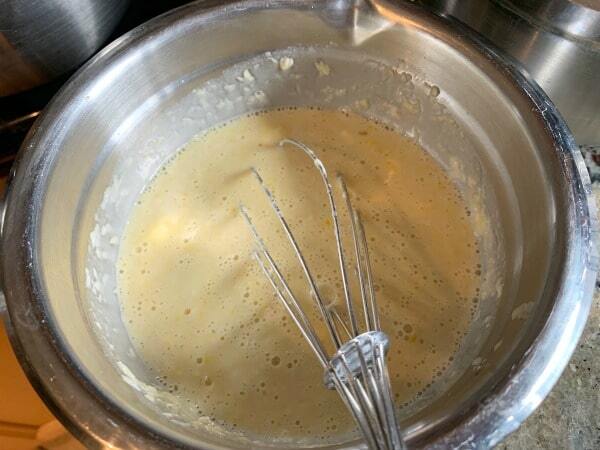 First, add your dry ingredients to a bowl and whisk to blend. Feel free to use a standing mixer. You will want to add your wet ingredients first. 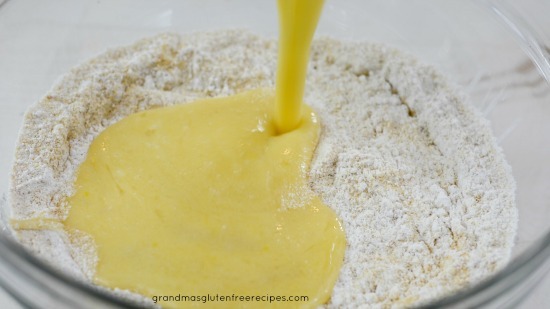 Turn off the mixer and then slowly mix in the dry ingredients. Pour the wet ingredients into the dry ingredients and mix until “just mixed”. Cupcake batter tip: If you overmix your batter, your cupcakes will be denser and not as light and fluffy! Use paper liners and fill each 3/4 filled with cupcake batter. Bake at 350F degrees for 18-20 minutes. How do you know when the cupcakes are baked? I like to use the toothpick test. Insert a clean toothpick into the center of the cupcakes. If the toothpick comes back clean, the cupcakes are done baking. If there is batter or crumbs on the toothpick, bake an additional 4-5 minutes. Allow the cupcakes to cool on a cooling rack while you make the frosting. 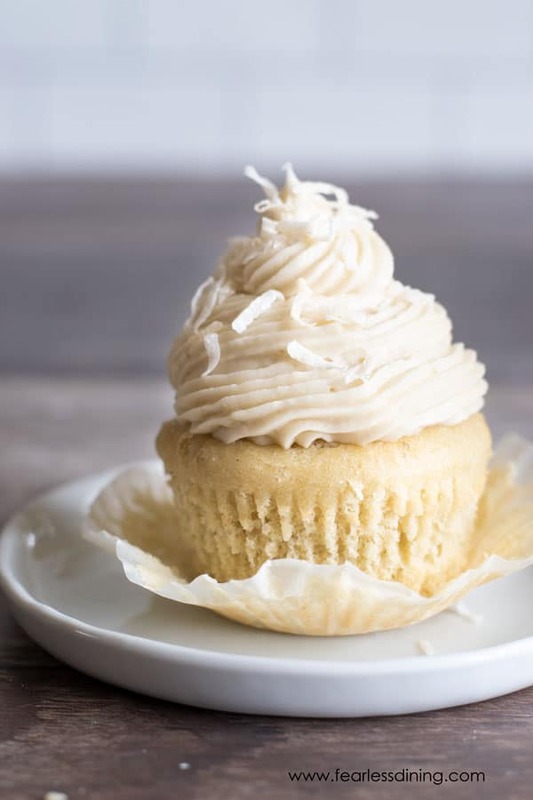 These gluten free coconut cupcakes are moist and delicious. Lemon and coconut flavors combine in every bite :-). How do you fill cupcakes? Filling cupcakes is much easier than you may think. If you have been reading my blog for a long time, you know I love kitchen gadgets. Have you seen this fun new kitchen gadget? 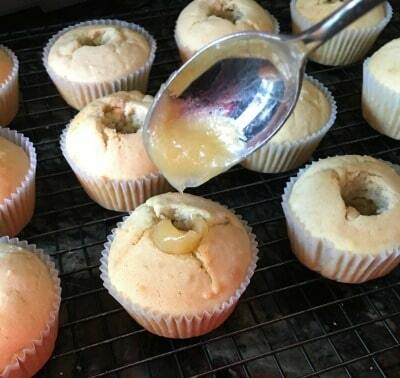 It lets you easily scoop out the middle of a cupcake to add a filling. It was an add on item at Amazon for about $4 so I decided to give it a try. It is perfect for scooping out middles and it allows you to add a uniform amount of filling inside each cupcake hole. I wish I could say we used lemons from our lemon tree for this recipe, but unfortunately, I have yet to make my own homemade lemon curd. It is on my very large to-do list, but for now, I would recommend buying a lemon curd or making one with this lemon curd recipe. Top with frosting and these are hard to resist!! Fill with M&Ms for a surprise cupcake. Do you have that favorite kid snack that makes your kids do funny things like this? Click here to see all of the gluten free dessert recipes on this blog. You may also love these Gluten Free Vanilla Cupcakes and these Gluten Free Chocolate Cupcakes recipes. You may also like this delicious Gluten Free Lemon Layer Cake recipe because it has delicious lemon curd between each layer. 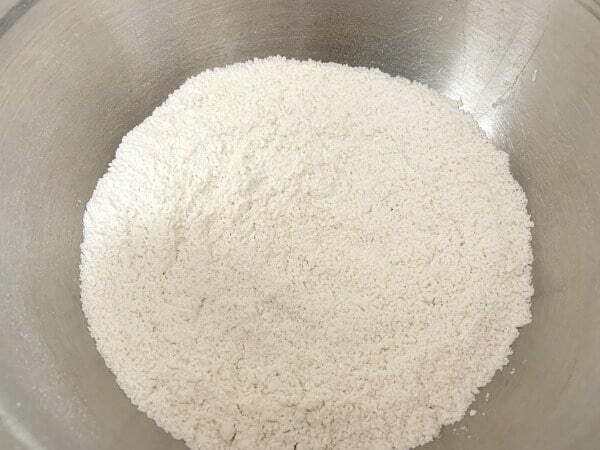 In a mixer, add all wet ingredients and mix for 2 minutes. Reduce speed and add dry ingredients slowly. 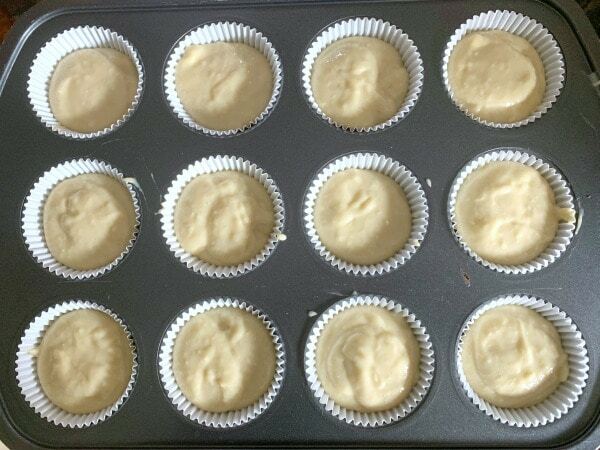 Put paper liners into a muffin tin and fill 3/4 the way with batter. 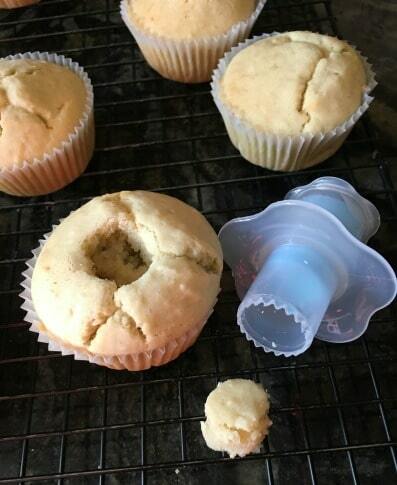 Use scooper to remove the center of each cupcake. Fill each hole with lemon curd. In a mixer, add frosting ingredients and mix. Here are some great recipes to enjoy before the cupcakes :-). Hi Linda, I do not use canned for this recipe, you can use almond or coconut milk (from the refrigerated section of the grocery store.) Thank you so much. I just made these today. I have had a gluten allergy for several years and I fear baking something I know won’t taste good. Well I thought after reading the recipe for the cupcakes, and lemon curd, I would try them. I can’t believe how great that they are. So moist, and I really didn’t want to put the lemon curd in them. So, after thinking about it, I did add the curd, but left off the coconut on top. I love them and so does my grandson, that is not gluten free. I used King Author 1 to 1 gluten free flour to make mine. 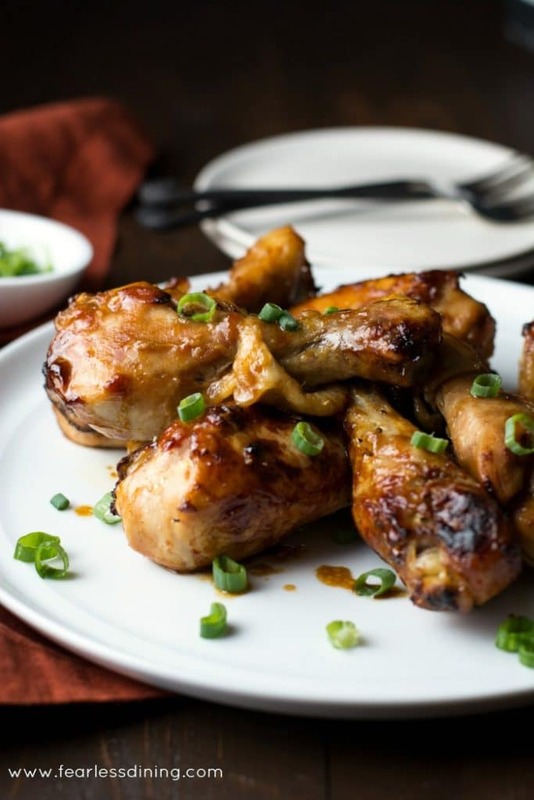 I will keep this recipe and make them several times, and thank you so much for sharing. You made my week Lisa, thank you so much for coming back to tell me you liked this recipe :-). I am so glad you like it. These cupcakes look so perfect! 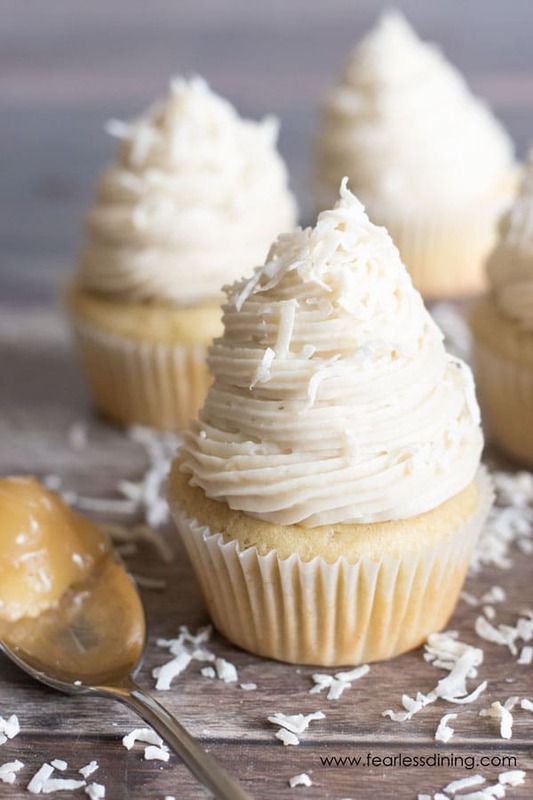 Love the coconut frosting you used for these! And the lemon curd surprise in the center is wonderful! I have 3 boys, two of whom do exactly what your son did – they inhale every dessert I make, haha! These cupcakes look so good, I love lemon curd! I am wondering if the growing ever slows down LOL. I can’t imagine x3! First, these are absolutely gorgeous cupcakes! And, I’m really loving that gadget because my kids have been asking to make filled cupcakes, and this would be perfect. Honestly, I’m laughing at the story because my kids are exactly the same way. Exactly! I love this post Sandi! I was laughing as I read about your son eating the cupcakes… I raised 4 sons, and this was a regular occurence at our house 🙂 These really do look like fabulous cupcakes, and I’m going to have to keep an eye out for that little tool! Now I know who to come to for advice 🙂 I am in awe of you surviving raising 4 boys. What a creative way to add some zip to the cupcakes (hidden lemon curd:)! IF you’ve ever heard of poke cake, this is kind of the same thing, but with a cupcake. I don’t blame your son for eating more than 2, though I sympathize with your efforts to keep your teenagers civilized. I haven’t tried a gluten free poke cake, but I love the idea Laura 🙂 That is next on my list!